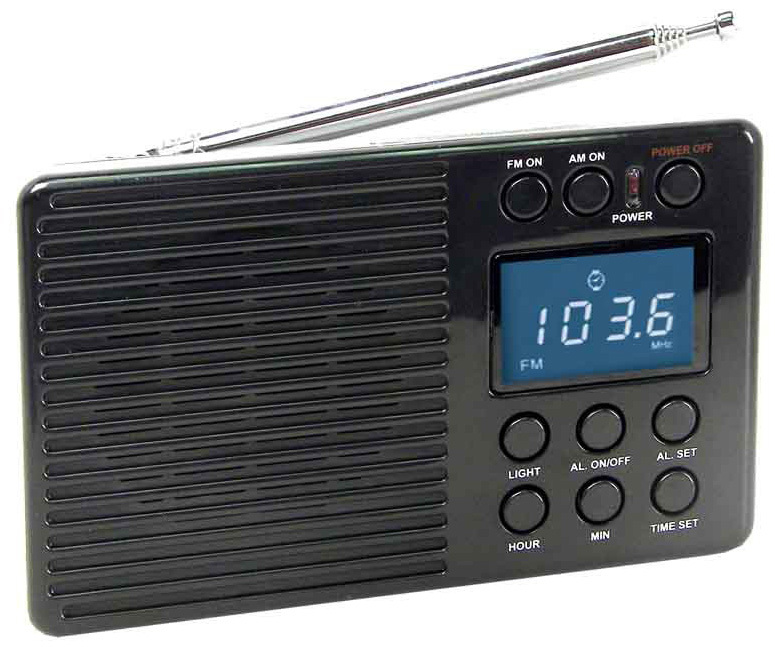 The SuperSonic SC-1099 is an affordable radio with digital readout. It tunes AM, FM and seven shortwave bands (5.7-15.8 MHz). It even has a clock with alarm. There is an earphone jack. Requires two AA cells (not supplied).